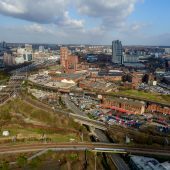 Drone aerial photography in Leeds often requires special permissions and co-ordination to film in a safe and legal fashion. 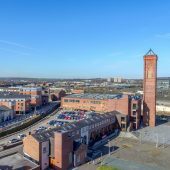 The close proximity of Leeds Bradford Airport means that many areas in the Leeds and Bradford areas are ‘no-fly zones’ for drone filming and photography. 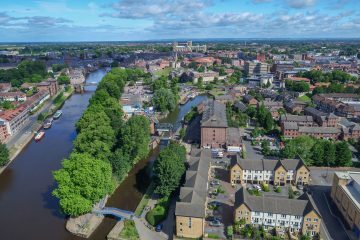 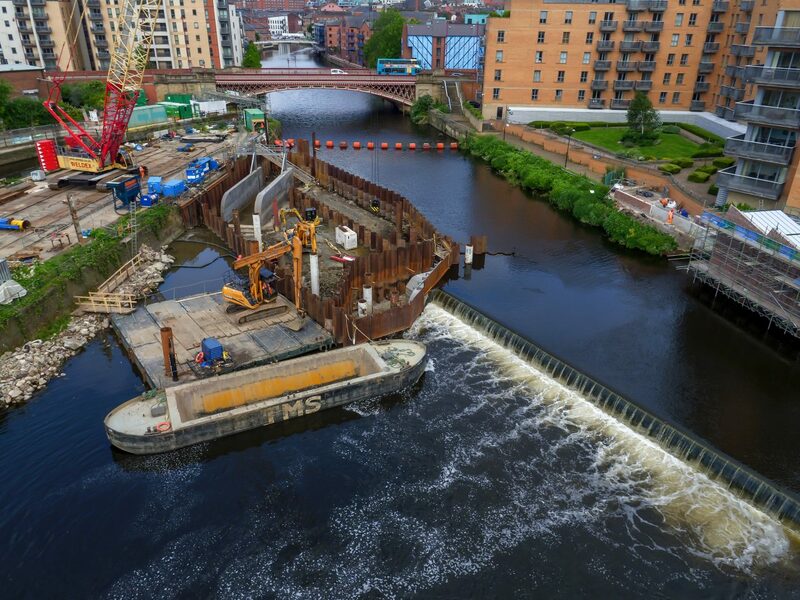 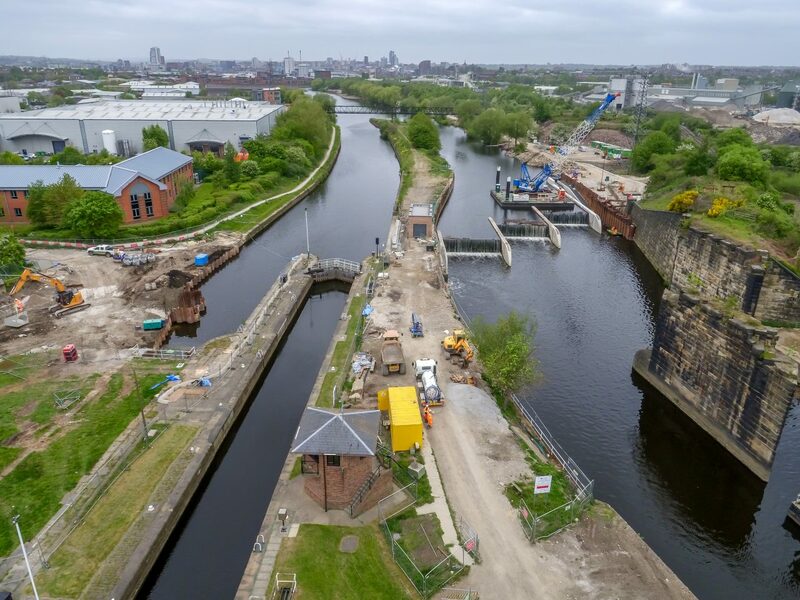 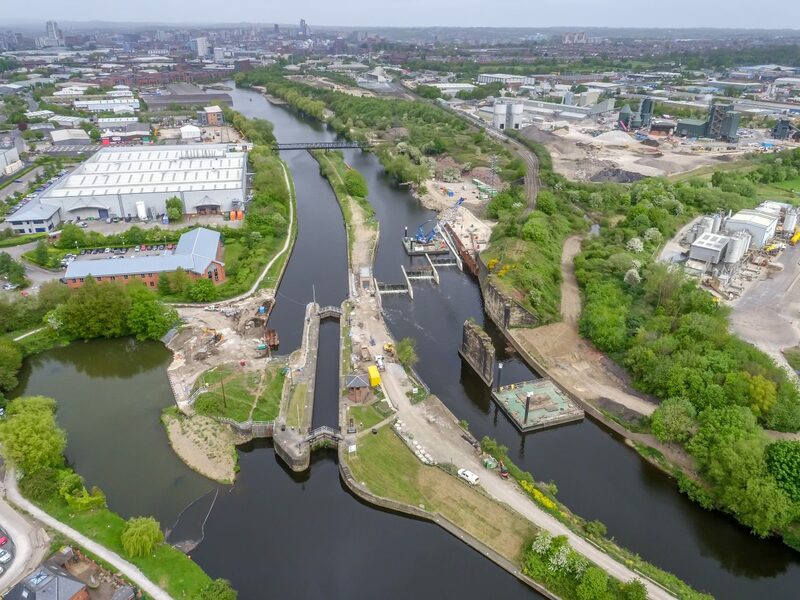 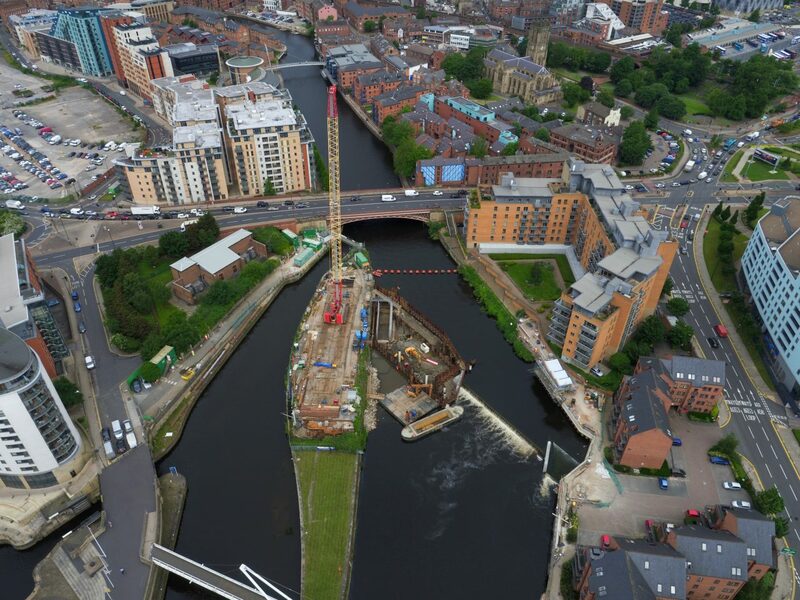 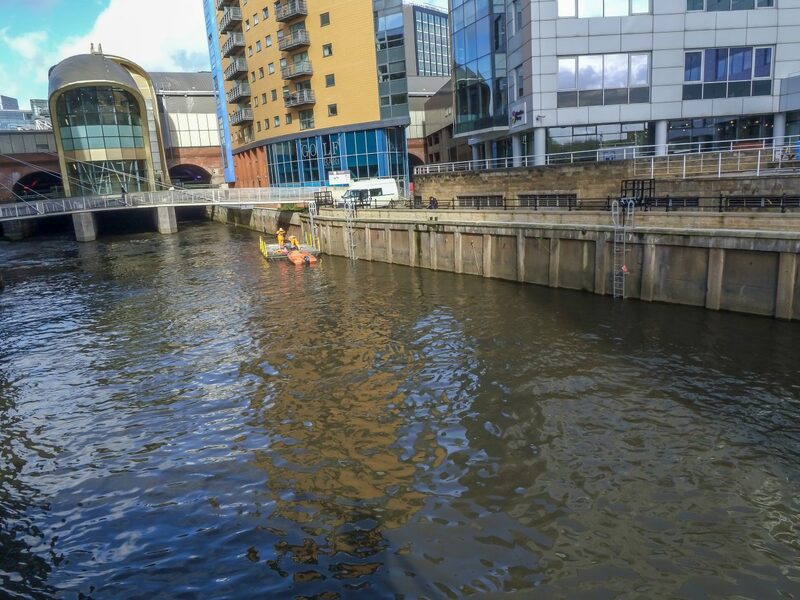 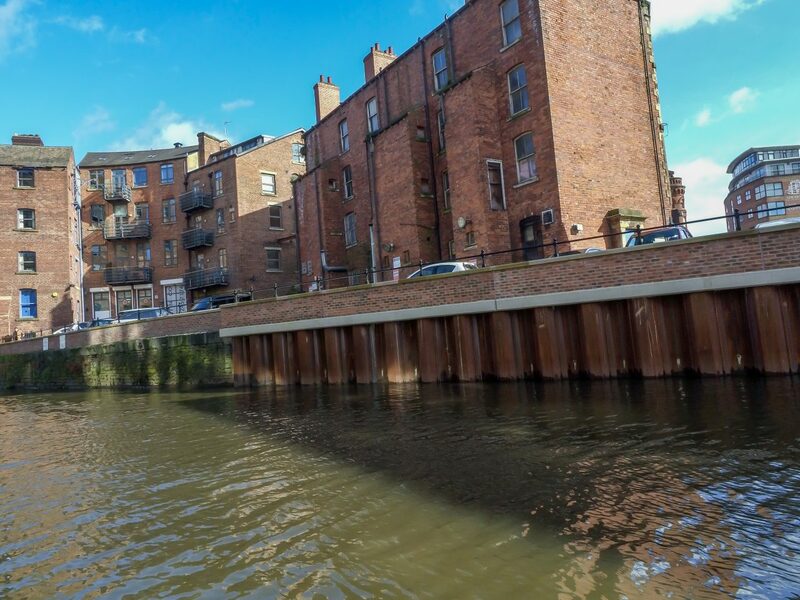 Leeds City Council regularly books our drone aerial survey team to provide updates on the Leeds Flood Alleviation Scheme on the River Aire. 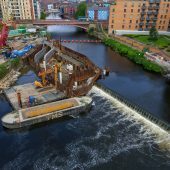 We produce monthly construction site update videos and aerial photographs for schemes in the city centre and at Knostrop Weir. 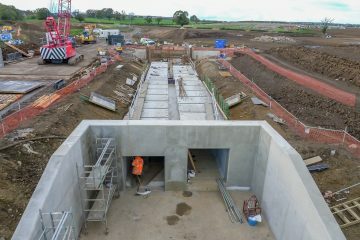 In addition, we also have a time-lapse camera installed at Crown Point Bridge. 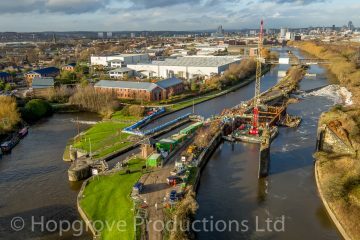 Hopgrove provided aerial photography for the Brownlee Triathlon based at Harwood House near Leeds. 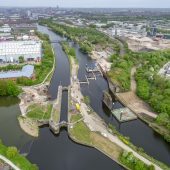 Our team was commissioned by Swim Smooth to capture aerial video of swimmers in the lake for coaching purposes. 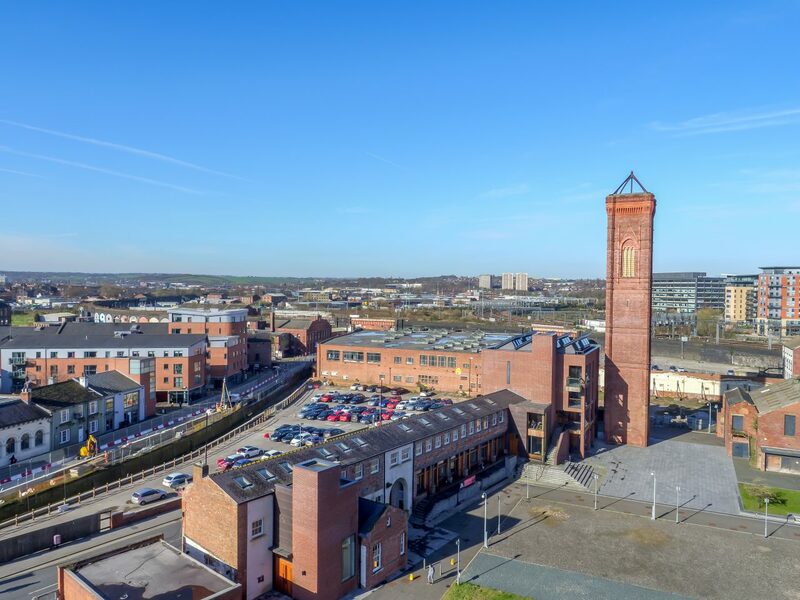 Harwood is in the no-fly zone protecting Leeds Bradford Airport and we acquired special permission from the CAA to fly in this location. 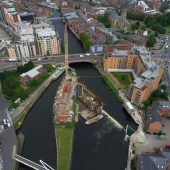 We also provide aerial video and photography for The Collective at Leeds based CGI company. 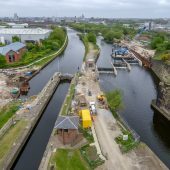 Our drone aerial photography is used to produce 3D visualisation for construction projects in the area. 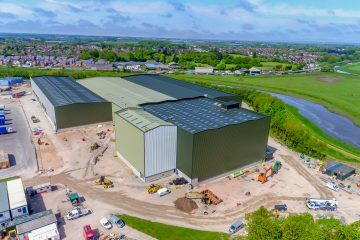 The cost of our services varies dependant on what you require and if you would like regular visits to the site. 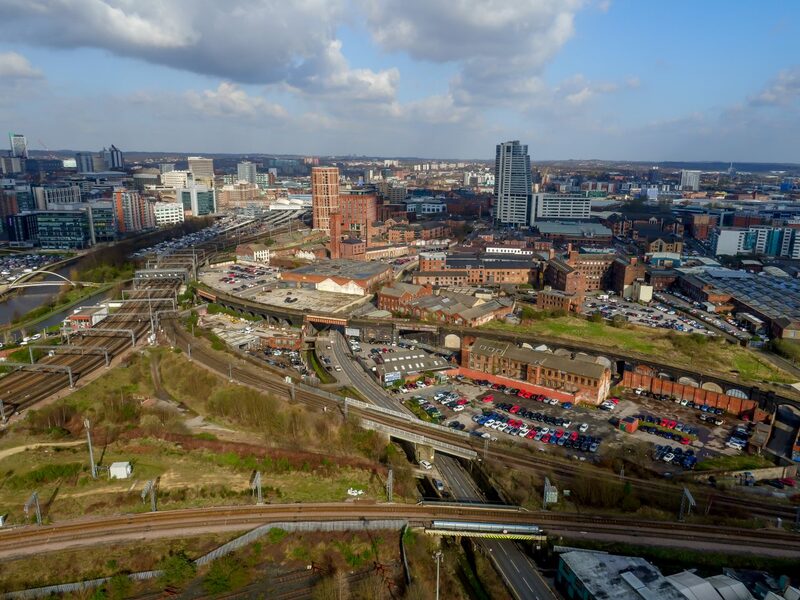 The is one large site in Leeds which we are booked to visit every week during 2019 and the client just needs a few images from each corner of the site. 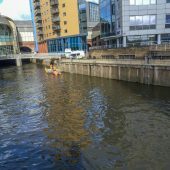 For this, we charge £195.00 per visit. 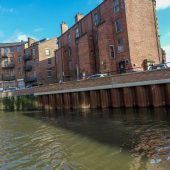 Other clients who require more extensive photography and an edited branded video on a one-off or monthly basis we charge around £499.00.